You can counterclaim in a negligence case. If someone sues you for injury and you believe that the plaintiff's negligence caused or contributed to the injury, you can sue, too. Counterclaims are common in car accident cases and, often, it is the insurance company that decides whether to sue on behalf of the defendant. In other injury cases, your defense attorney can help you decide whether a counterclaim is reasonable. A counterclaim is filed by a defendant to a lawsuit. It is a claim related to the subject of the original suit and aimed at the plaintiff. Counterclaims become part of the original suit and do not constitute a separate case. A common counterclaim or defense to a negligence suit is that the plaintiff caused or contributed to the injury by being negligent too. People are considered contributorily negligent when they fail to act to protect themselves as a reasonable person would under same or similar circumstances. If a defendant can show that the plaintiff contributed to the injury with negligence, then the plaintiff may be barred from recovering any damages at all or damages may be reduced to reflect their contribution to the injury. 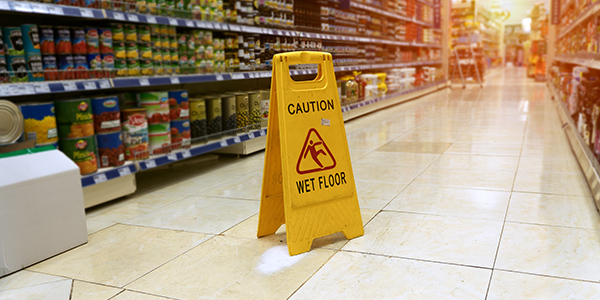 Contributory negligence was traditionally a bar to plaintiffs recovering in a personal injury suit. Today, however, courts are more likely to analyze using one of two frameworks that fall under the umbrella of "comparative negligence." As such, winning your contributory negligence claim is not a guarantee that you won't have any damages to pay. But there is still a chance of that. The pure comparative negligence approach to injury cases is relatively straightforward. A plaintiff may recover a percentage of the total damages, reduced to reflect the relative contribution to injury. You, as the defendant, will have to pay out damages equivalent to the "percent" of total injury that you caused. Most states take a modified comparative negligence approach. In these jurisdictions a plaintiff will not recover if their own contribution to the injury constitutes half or more. So, if a plaintiff and defendant are both equally responsible, a defendant will owe nothing in damages to the plaintiff. Similarly, a defendant who is less than half responsible will owe nothing. But if the defendant contributed even only slightly more than half to the injury, the defendant will be liable for that percentage. Defending personal injury cases is difficult. Adding a counterclaim, while wise, certainly contributes to the complexity of a case. If you have been sued, you only have a limited time in which to respond to the complaint and counterclaim. Talk to a lawyer today.